Recently it was rumored that the new Sony Tablet S would be updating a lot of new features like Unlimited Video Store, a Reader online Store as well as a PlayStation service. Now Gameloft, mobile game makers confirmed that they are lining up HD games for release in the Sony tablet. These games will also be available for Sony Tablet S as well as the upcoming Sony Tablet P.
The studio has built a business around delivering a console-like experience on small screens with games like Gangsters and Order & Chaos. The company might have already started to work on porting some of their hits to Sony’s two Android Tablets. The Sony Tablet which was launched earlier this month has already been updated with the Honeycomb 3.2 and will soon get a Play Station services update. 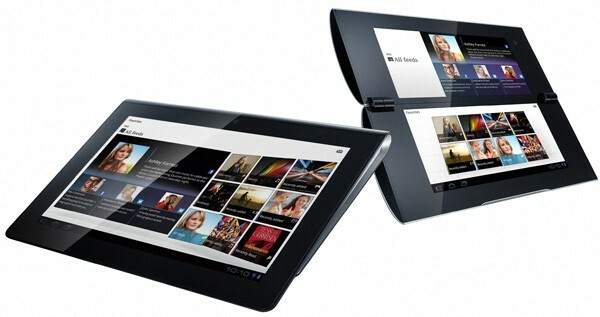 The Sony Tablet P with a dual screen is still in the coming soon list. According to Gameloft they will be offering some of the HD titles which include Asphalt 6: Adrenaline HD, N.O.V.A. 2: Near Orbit Vanguard Alliance HD, Real Soccer 2011 HD, Spider-Man: Total Mayhem HD and Green Farm HD. They have also mentioned that the games will be made available before the end of the year, if they are not up already. As the Sony Tablet P is having a dual screen, Gameloft even might have some special kind of games which can offer some unique presentation which might be possible on it and that are not like the games that we see in other tablets.